Tabards are so useful. Not only are they the prefect cover protecting employee’s clothing but they also ensure staff look smart at all times. You will see tabards being worn by a variety of employees from waiting staff, to shop employees and cleaners, or even staff in a nursery or preschool. Our catering tabards are inexpensive and offer a professional look that doesn’t compromise on functionality, helping to protect clothing underneath from potential damage or staining when working, and some of our tabards also feature a really handy storage pocked on the front. If you would like to keep your staff looking smart and want to protect their clothing, then choose a tabard as part of their staff uniform. 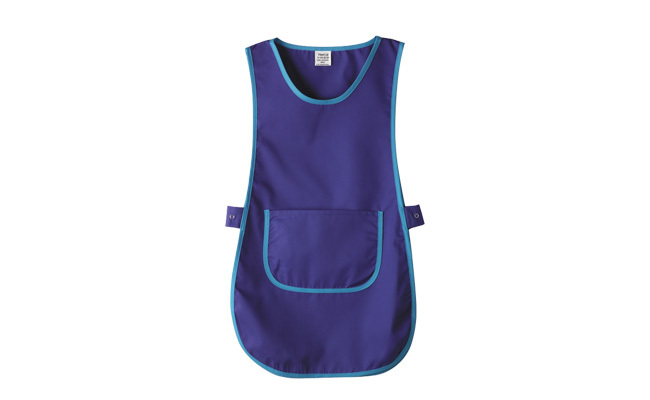 From Pattersons Cleaning & Catering Supplies huge range of catering aprons our tabards are ready to be delivered next day. Our huge range of workwear clothing is available online.